We’re Direct Buyers, And We Buy Houses With Cash Anywhere In Charlotte, And At Any Price. We’re Ready To Give You A Fair Offer For Your House. Beware of any other people who claim to “buy your house fast for cash.” Many are the middle man who look to direct buyers like me. When you deal with cash buyers like our company, you’ll have no delays. We can get the deal closed within 5 business days or whatever time frame works best for you. 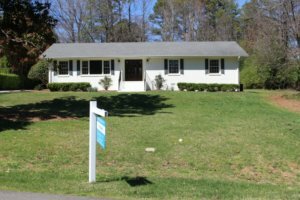 Can’t sell your house in Charlotte? We can help! We buy houses as is, contact us now!